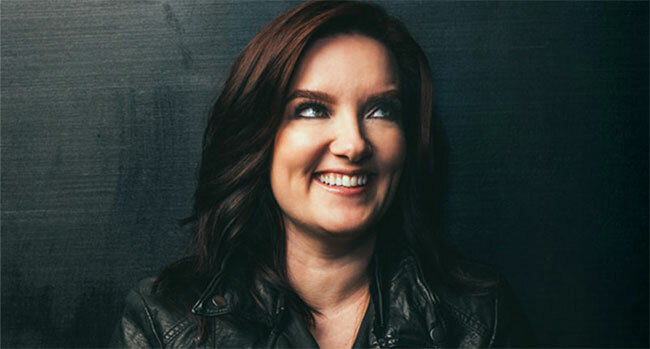 Big Machine Music (BMM) proudly announces the signing of critically-acclaimed singer/songwriter, Brandy Clark to an exclusive co-publishing agreement. BMM also announces the formation of a music publishing joint venture with Clark’s All BC Music. Based in inspiration, the partnership will allow for them to discover, sign and develop songwriters. The six-time GRAMMY Awards nominee officially joins BMM’s wildly talented roster, which includes Brett Young, Luke Combs, Jonathan Singleton, Laura Veltz, Josh Thompson, Jessie Jo Dillon, and more. The Nashville, TN based Clark received her first of an impressive six career GRAMMY Awards nominations in 2013 in the Best Country Song category for co-writing the Miranda Lambert No. 1 hit “Mama’s Broken Heart.” Her talent as a storyteller has quickly propelled her into critical acclaim as one of Nashville’s best tunesmiths. Subsequently writing songs for Sheryl Crow, The Band Perry, Reba McEntire, LeAnn Rimes, Billy Currington, Darius Rucker, and Kacey Musgraves to name a few. In 2013, Brandy independently released her own debut album, 12 Stories, which was embraced by music lovers and critics alike and was subsequently nominated for two GRAMMY Awards including Best New Artist and Best Country Album. 12 Stories went on to be named “Best Album of 2013” by The Boston Globe, New York Magazine, NPR, The New York Post, and more. Brandy also won the 2014 CMA Song of the Year Award for “Follow Your Arrow,” which she co-wrote with Shane McAnally and Kacey Musgraves, and was also nominated for CMA New Artist of the Year that same year. 2016 brought the release of her sophomore album, Big Day In A Small Town, which garnered two GRAMMY Awards nominations – Best Country Album and Best Country Solo Performance (“Love Can Go To Hell”) – and once again topped critics’ “Best of ” lists including NPR, Rolling Stone, Entertainment Weekly and Billboard, cementing Clark as one of country music’s most talented artists, beloved by fans, critics, and fellow entertainers alike. Famed music critic and author, Ann Powers, calls Clark “a storyteller of the highest caliber.” This past year Clark has been honing her craft on the road playing with the likes of Willie Nelson, Brandi Carlile, Dwight Yoakam and Sugarland.